Here is what presenters have to say about the Balsters and their productions. 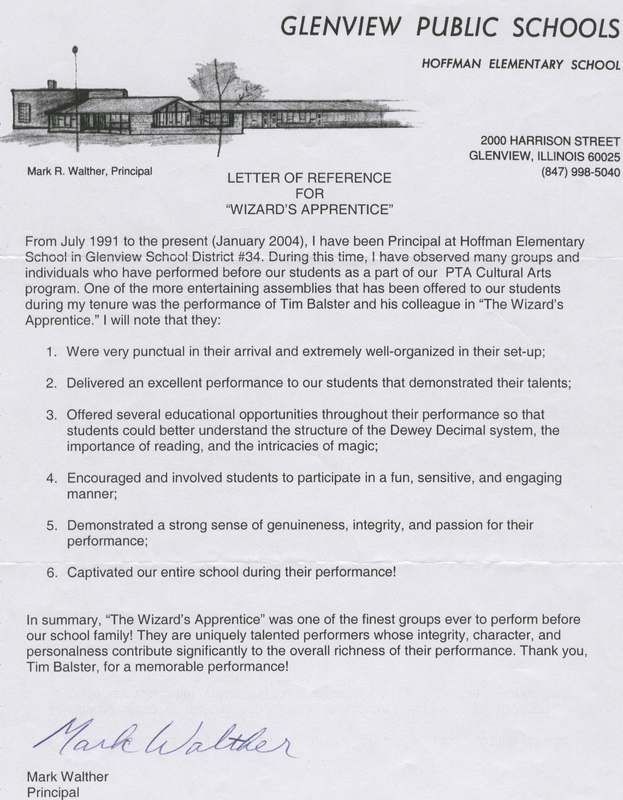 tenure was the performance of The Wizard’s Apprentice. well-organized in their set up. “Theatreworks USA has represented Tim & Robin since 1997, and they are a complete joy to work with. “ “ Regarding their on-stage performance, we could not be more happy, and our presenters agree - returned evaluation forms consistently rate them as “excellent”. “I recently had the pleasure of working with Tim Balster during the run of ”Cabaret on Ice”. “We have also recieved very positive comments from our sponsors , who were very pleased with the quality of the performance.